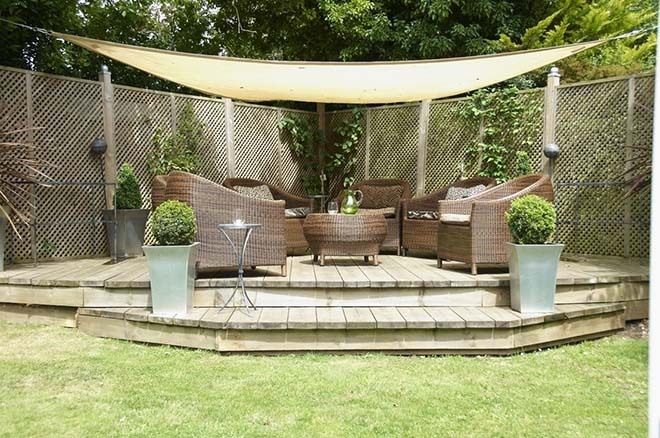 But what are the secrets to creating the perfect outdoor space that’s great for entertaining or just pure relaxation? Whether you have a small balcony or a vast estate, here are some top ideas for making the most of your summer space whilst adding to the wow factor when it comes to selling your property. Try to create your outdoor space next to your house so that you have a wall to incorporate into your area, otherwise it can look a little flat. If that’s not possible, consider using trellis or fencing to create a sense of privacy. Don’t be afraid of using a wall creatively. 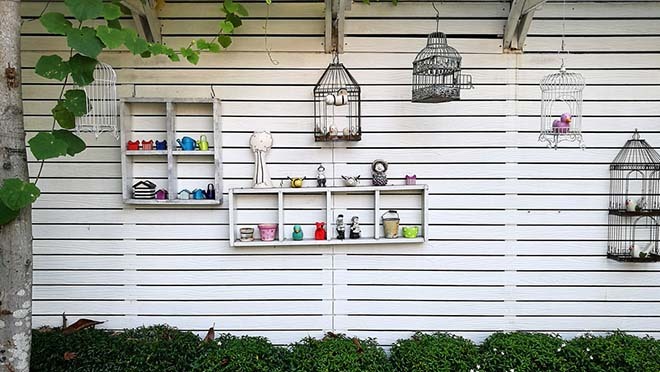 Outdoor shelving filled with pot plants, for example, will give your space more character. Giving your outdoor room a ‘ceiling’ by stringing fairy lights overhead to add to the sense of sanctuary. 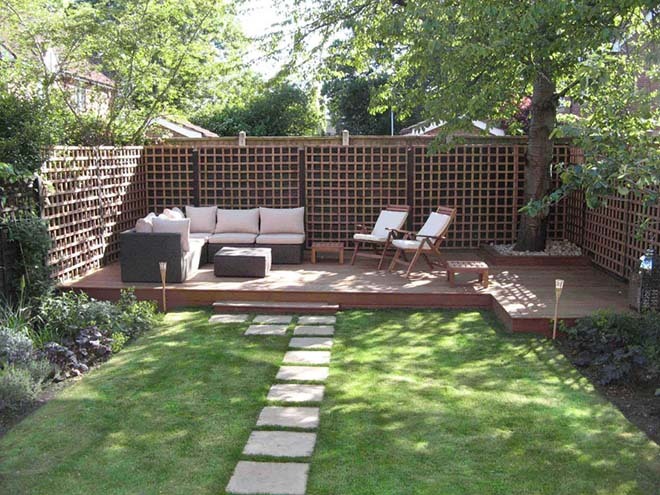 If your budget stretches to it, consider using decking for your outdoor space. Not only does this mean that everything will be level, you can also divide areas up or create flower beds and even seating areas. Composite decking has taken over from wooden decking recently as it is splinter free, slip resistant and needs a lot less TLC. 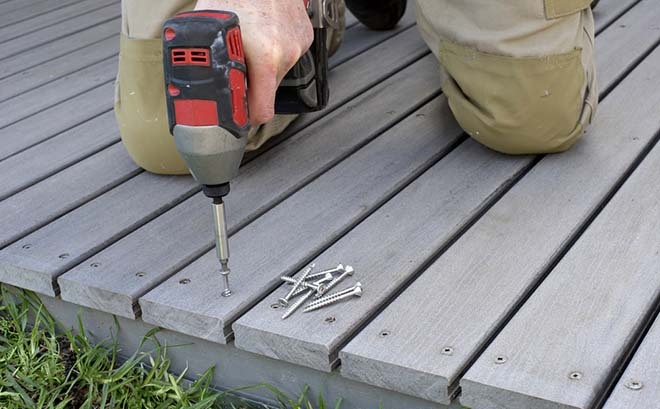 Ask friends and families for recommendations to make sure you find a reputable company to install your decking. Although you’re creating an outdoor room, don’t try to keep nature at bay. 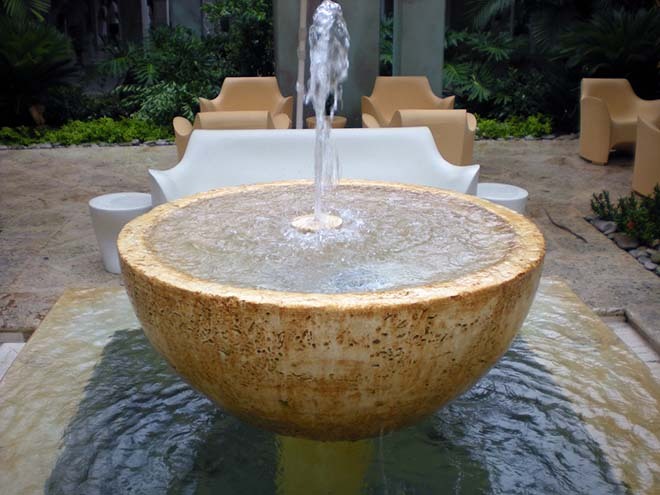 Incorporate pots in plants of all sizes and, if you want the space primarily for relaxation, then consider incorporating a small water feature as there’s nothing better than the sound of running water to ensure calming ambiance. 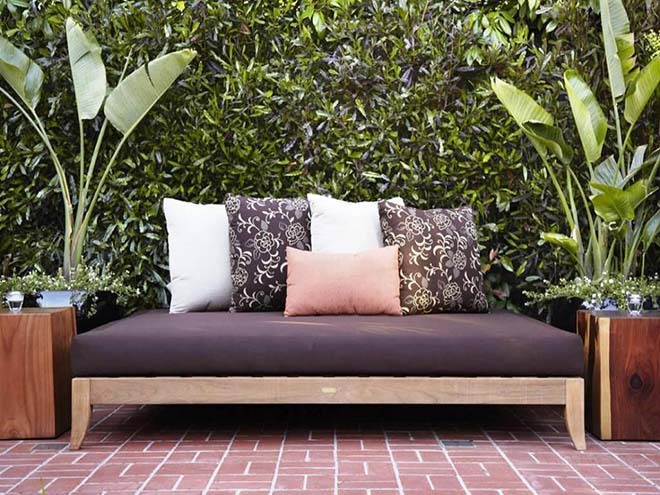 Clean lines and contemporary furniture look good in a magazine, but the point of an outdoor space is to relax. Bear in mind whether it’s somewhere you’re creating primarily for you or whether it’s a place you’re planning to entertain. Daybeds are perfect for just one or two people, for example, whereas you’re going to need a table and chairs if people are going to be eating there. Another important factor is sun vs. shade. If you’re a sun worshipper, then a sun shade that can open and shut, as well as be easily moved, is ideal. If your space is somewhere to escape the sun, then a permanent sail-like shade can create a dramatic effect. If you’re planning to use your outdoor space at night, you’ll need to consider lighting for your area, so make sure it’s close to somewhere you can access mains electricity or run an extension cable. Solar lighting is great when it works, but you cannot always guarantee lights will have stored enough power to keep you illuminated for a whole evening, given our unpredictable weather in the UK. Consider solar lighting as an additional light source rather than a permanent option. Also think about outdoor heating if you want to use the space throughout the year. 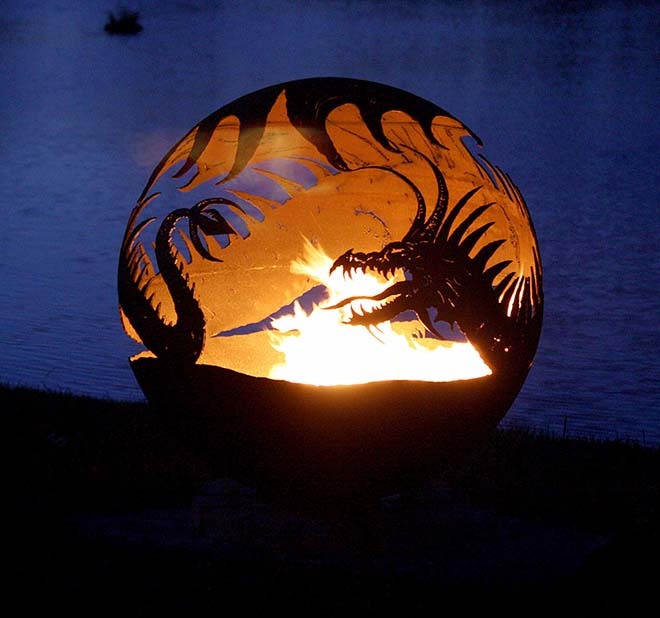 A fire pit is wonderful if you’re planning on sitting around chatting for an evening, but if you’ve got more guests scattered around your space, then outdoor space heaters are worth thinking about. Whatever you choose to for cooking outdoors can also provide a heat source if you’re using wood or charcoal. However, it depends on the number of people you’re catering for and your priorities – a chiminea is great for providing warmth but doesn’t give a lot of space to cook on, whilst it’s vice versa if you choose a gas-fired BBQ. Site your BBQ or fire pit carefully so that people are not sitting in an area where the smoke from your heat source is likely to drift across. 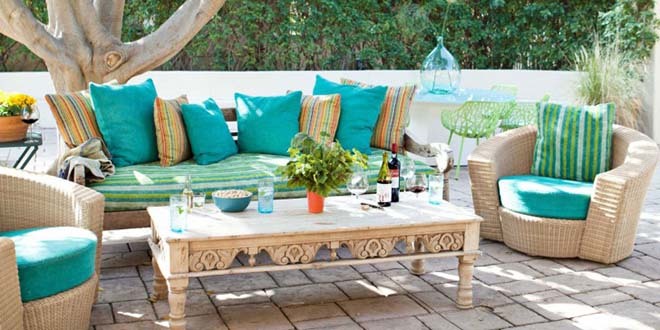 Some people opt for a colour scheme when creating an outdoor space, whilst others prefer to go for a more eclectic look. Adding lanterns, vases, candles and other ornaments can really enhance a space, but remember they also need to be put away when the weather turns inclement. Consider a storage area within your outdoor space that’s weather proof.